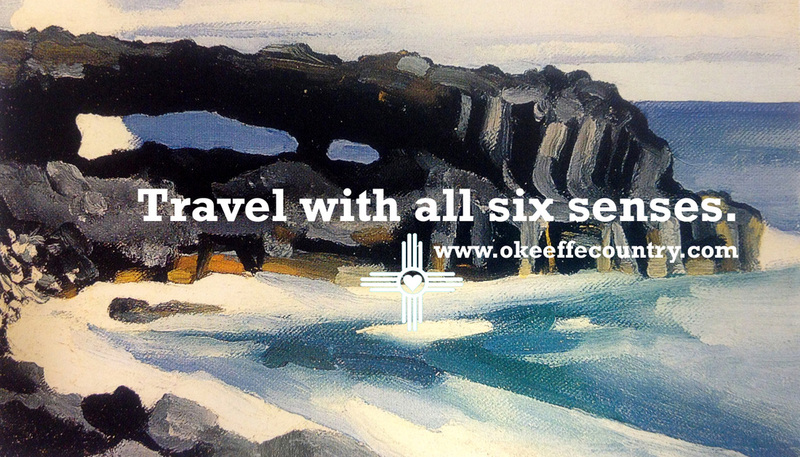 O'Keeffe Country is most commonly used to define the region in Northern New Mexico that encompasses Santa Fe, north to Abiquiu, through Ghost Ranch and up to Taos. Georgia O'Keeffe held residence in all of these places at one time during her life, documenting most in her unmistakable artistic style through drawings, pastels, paintings, and photographs. But we can reasonably expand the concept to include any place - that Georgia O’Keeffe lived and/or worked - which can be distinctly recognized through her landscape paintings. Since she was a realist, this is not difficult to do. What else can be authentically labeled as O’Keeffe Country? Texas (Palo Duro Canyon). New Mexico (Abiquiu, Ghost Ranch, Bisti Badlands, Taos). Colorado (Ward). New York (New York City, Lake George). 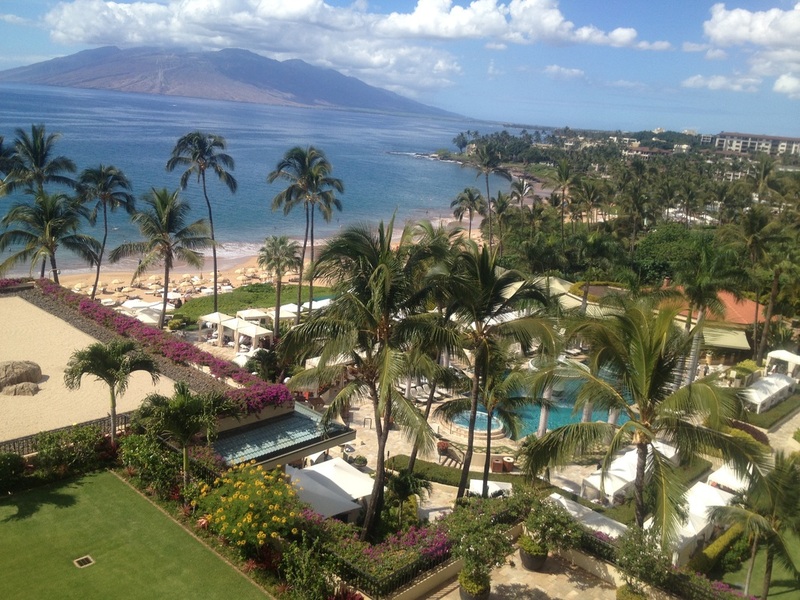 And last, but certainly not least, Hawaii (Maui, Oahu, the big island, and Kauai). Maui is O'Keeffe Country too. 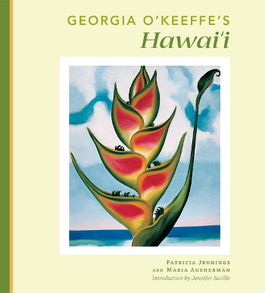 In 1939, Georgia O’Keeffe was commissioned by the Dole Company to visit TH – the Territory of Hawaii - and create two paintings that could be used in their advertising campaign. On January 30, 1939, she set out from her home in New York City by train to San Francisco, California, and then headed across the Pacific Ocean on the SS Lurline. It took her nine days total - five days at sea - to reach Honolulu, Oahu. For nine weeks, she traveled across Oahu, Kauai, the big island of Hawaii, and Maui. Her time there is well documented by her luscious paintings, black and white photographs, personal letters to Alfred Stieglitz, historical documents, and two books published earlier this year. On April 14, 1939, she left Honolulu on the ship Matsonia, and returned to New York. 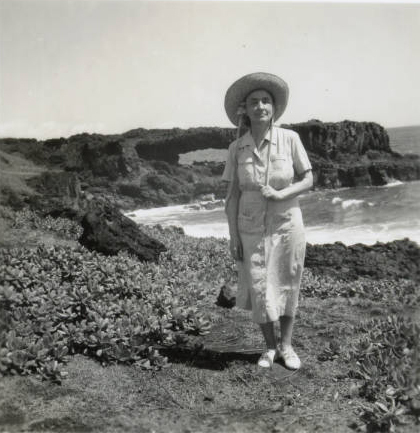 She wrote to photographer Ansel Adams, “I have always intended to return to Hawaii… I often think of that trip at Yosemite as one of the best things I have done – but Hawaii was another.” She was able to visit Oahu again in the 1950s, and then Maui in 1982. The paintings she produced were shown on February 1, 1940, during her annual exhibition at American Place Gallery (owned by her husband Alfred Stieglitz) in New York City. Two – Pineapple Bud and Crab’s Claw Ginger, Hawaii – were used in the Dole Pineapple Campaign that year. 1. Fishhook from Hawaii, No 1, 1939 – The Booklyn Museum. 2. Fishhook from Hawaii, No 2, 1939 – Museum of Fine Arts, Boston. 3. Heliconia, 1939 – Private Collection. 4. Crab’s Claw Ginger, Hawaii, 1939 – Collection of Twigg-Smith. 5. Pink Ornamental Banana, 1939 – Georgia O’Keeffe Museum Extended Loan. 6. Pineapple Bud, 1939 – Collection of Mr. and Mrs. Jon B. Lovelace. 7. Bella Donna, 1939 – Georgia O’Keeffe Museum Extended Loan. 8. Bella Donna with Pink Torch Ginger, 1939 – Private Collection. 9. Hibiscus with Plumeria, 1939 – Private Collection. 10. Cup of Silver, 1939 – The Baltimore Museum of Art. 11. Hibiscus, 1939 – Private Collection. 12. White Lotus, 1939 – Muscatine Art Center, Iowa. 13. White Bird of Paradise, 1939 – Georgia O’Keeffe Museum. 14. Black Lava Bridge, Hana Coast – No 1, 1939 – Honolulu Academy of Arts. 15. Black Lava Bridge, Hana Coast – No 2, 1939 – Honolulu Academy of Arts. 16. Waterfall End of Road Iao Valley, 1939 – Honolulu Academy of Arts. 17. Waterfall, No 1, Iao Valley, Maui, 1939 – Memphis Brooks Museum of Art. 18. Waterfall, No 2, Iao Valley, Maui, 1939 – Private Collection. 19. Waterfall, No III, Iao Vallery, 1939 – Honolulu Academy of Arts. 20. Papaw (Papaya) Tree – Iao Valley, 1939 – Honolulu Academy of Arts. • Untitled Hibiscus, 1939 – Georgia O’Keeffe Museum. • Untitled Black Lava Bridge, 1939 – Georgia O’Keeffe Museum. • Untitled (Tree), 1939 – Private Collection. • Untitled (Yellow Flower), 1939 – Georgia O’Keeffe Museum. How do you see Hawaii? O’Keeffe’s greatest gifts to the places she visited were her paintings. As for her trip in 1939 to the Islands, she said, “If my painting is what I have to give back to the world for what the world has given to me… these paintings are what I have to give… for what three months in Hawaii gave to me.” She was grateful. As we are grateful. 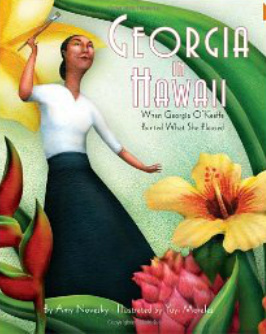 As beautiful as her work is, looking at Georgia's art is not enough to get the true sense of Hawaii - or any place she painted. You have to see it, breathe it, walk it… with your own eyes, soul, and step. We can learn from her adventures, and we can certainly revel in her memories, put so elegantly on canvas for us to admire. But even when we visit a place named after her - O'Keeffe Country - she would want us to make our own experiences and discover our own adventures. Start something of your own. O'Keeffe's genuine footsteps there, embracing her landscapes in person.. and then setting off to find your own "far away place." Aloha! Flowers at the Four Seasons Maui. Georgia O'Keeffe would have loved it here!!! Follow our Maui blog: click here. walk a famous labyrinth in both places… Dragon's Teeth Point, Kapalua, Maui, and Ghost Ranch, Abiquiu, New Mexico. Lindbergh, the famous aviator, and Arthur Pack, owner of Ghost Ranch from 1936-1955, were friends and flying buddies. Georgia O’Keeffe began staying at Ghost Ranch in 1934, eventually buying a house there in 1940. She and Arthur Pack were also close friends. Lindbergh is buried on Maui.